← What’s YOUR Selling Range? Is it ever appropriate to use a bribe? When you’ve “got the goods” on someone and you want a concession from them, is it ethical to use that information to your advantage? My new favorite TV show… Meet Nate Ford, a former insurance investigator that spent his professional career dedicated to the company that he recovered millions in stolen goods for. This same insurance company would refuse a medical claim for his son that would take the life of the innocent child. Unemployed and teetering on the edge, Nate is approached about a Robin Hood-like scheme. He enlists the help of the best thieves in the business, and with their help he will steal from the rich and give to the poor, to help balance the crooks in high power positions. He and his team help provide…leverage. 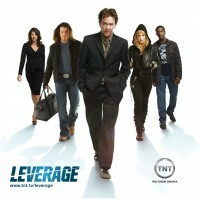 Leverage is a great TV show. It displays many examples of how to get what you want (selling) using leverage or creative forms of a bribe. In real life, when you’ve “got the goods” on someone and you want a concession from them, is it ethical to use that information to your advantage? That depends on your personal standards (your ethics). Many would consider it wrong to use inside or ill-gotten information against another. Others don’t even consider the external ramifications of an action that gets them what they want. Many times, the perspective depends on which side of the bribe you find yourself. When you are in a defensive situation that puts you at the dis-advantage of a proposal with what may seem like only a couple of choices (bad or worse), you may need to counter with an alternative bribe using the ethical standards of the one who put you into that position. If you want to play with the sharks, you may have to become one. You can either be played upon or you can play upon in the game of leverage. If you aren’t up to it, may I suggest that you avoid jumping into the tank all together. Upon the first sign (you can usually sense it) that a relationship may include a different set of ethics than yours, remove yourself as quickly and painlessly as possible. Because the longer you stay in the game, the more difficult it will be to exit. Great suspense stories are made from the experiences of those that play the game. But life is real. It is not a novel. Do you really want to experience the “game” or do you want a peaceful and satisfying life? Life is about choices. We choose our own paths. Choose yours or you must accept the path that others will choose for you. My personal definition of ethics are the rules and behaviors you adopt in the practice of your life that enable you to live at peace with your decisions. I like to make ethical choices. I think the only time it is appropriate for you to use a bribe (or sell with leverage) is in defense when you find yourself in the position of being bribed. Oh how I wished that I had known then what I know now. If you want to discuss this topic and how it relates to your business situations, join me in one of my weekly Q&A tele-conference calls. You can participate by simply asking a question. You can read about business ethics at the Markkula Center for Applied Ethics. Or, you can learn more about the subject of ethics on Wikipedia. This entry was posted in Observations, Sales Essentials, Selling and tagged bribe, ethics, leverage, Selling. Bookmark the permalink.